This GLOMACS Advanced Project Management training course is unique in the market as it helps the participants to get ready for the PMP Exam; not to mention the business application portion that ensure the pragmatic implementation of the project management methodology. It will correlate the exam questions with a practical workshop to cover the daily business activities. This GLOMACS Advanced Project Management training course is intended for candidates undertaking the Project Management Institute (PMI)® Project Management Professional (PMP)® examination. 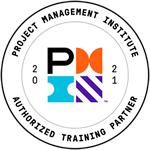 The designation title PMP® is an internationally accepted recognition of project management knowledge and professionalism of the successful candidate. In ever increasing numbers, organizations are turning to project management to help them gain competitive advantage. It will emphasize awareness of project risk management to minimize project cost / schedule overruns & improve project execution. Project management is all about the management of risks; the ability to seize opportunities, minimize threats and to optimize results. However, risk management is too often treated as a reactive process, or worse, not done at all. The Facilitator, through presentations, will give the participants help and guidance during the pre-examination process and the sessions are challenging and practical through the use of simulated test questions and answers where learning comes with a test of 15 key and very challenging questions upon the completion of each module. The training methodology will incorporate as well both theory and skill training components, utilizing both traditional lectures, as well as hands-on exercises, group discussions and case studies.